eco-friendly and can be safely used in the home. The 2-in-1 preparation cleans the wood surface and at the same time applies a protective and replenishing surface of hardwax oil to help maintain the surface – cleaning and maintaining at the same. 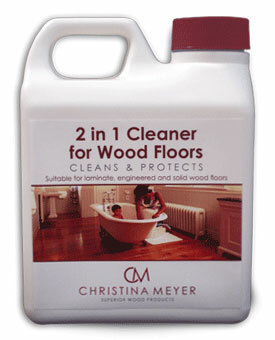 An easy to use product you need only add a sample cupful to a warm bucket of water and apply with a damp mop or cloth.